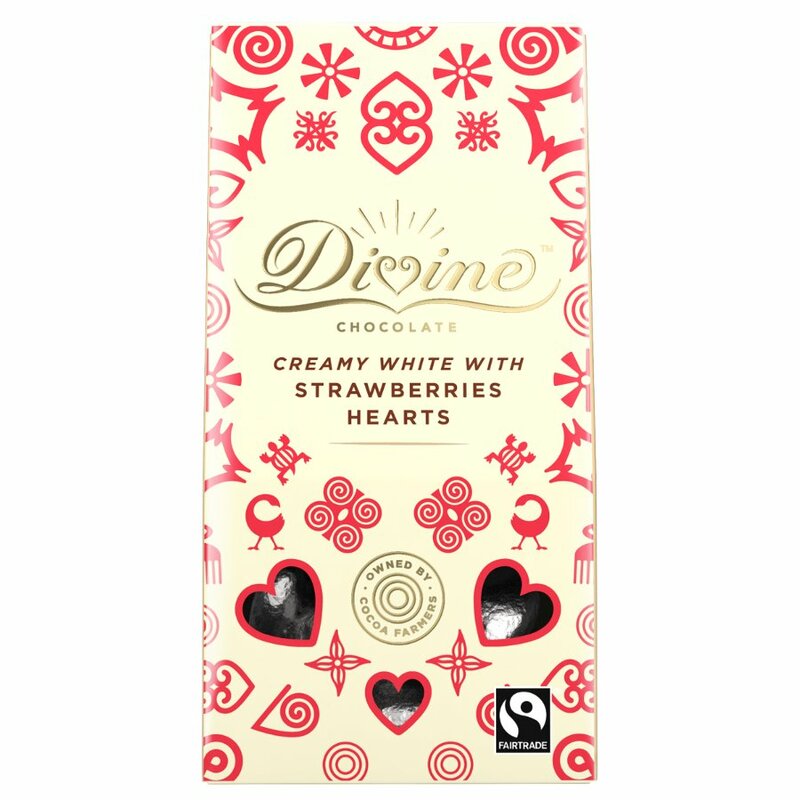 Deliciously creamy solid white chocolate hearts with pieces of real dried strawberry; a tantilising combination! Each mini heart chocolate is wrapped in silver foil, making a lovely gift. Fairtrade sugar, Fairtrade cocoa butter, Skimmed milk powder, Butterfat, Strawberry crisp 3% (maltodextrin, strawberries, sugar, modified starch, thickener: sodium alginate, natural strawberry flavour, acidifier: citric acid), Emulsifier: sunflower lecithin, Fairtrade vanilla. 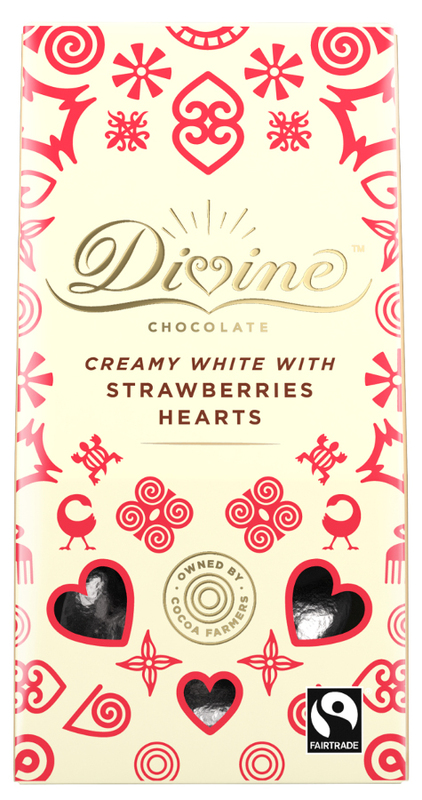 There are currently no questions to display about Divine White Chocolate & Strawberry Hearts - 80g.